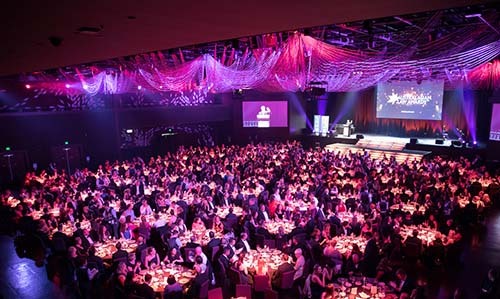 Gilbert + Tobin have announced their biggest round of promotions in years, just weeks after being named the Australian Law Firm of the Year (250-500 lawyers) at the Australasian Law Awards. The whopping four new partners and two special counsels are indicative of the firm’s rapid growth across a range of practice areas, following a host of significant partner promotions in the last 12 months. After winning Australian Human Rights Commission Human Rights Law Award and establishing the firm’s ‘Third-Sector’ practice group aiming to service the not-for-profit sector, Darren Fittler has been named partner. His broad experience ranges across corporate, telecommunications and IT law areas. Up and comers Gail Christopher and Adam D’Andreti have been appointed to the partnership, Christopher in the banking sector and D’Andreti specialising in M&A and capital markets, along with Chris Williams, a leading patent specialist. Jessica van Rooy and Tony Rutherford have been promoted to special counsel, in the Corporate Advisory and Banking and Finance groups. Managing partner and winner of the Australian Law Firm Leader of the Year award, Danny Gilbert, said the appointments reflect the firm’s steady growth.